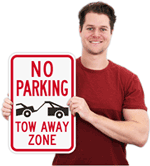 Show off your signs with the best posts online. 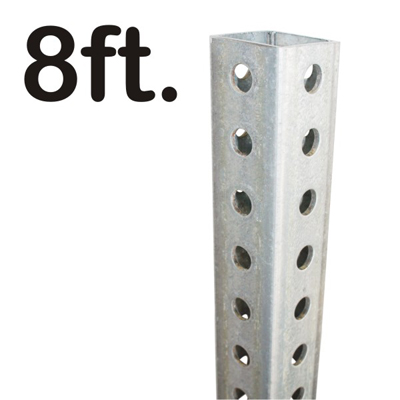 Use our range of street sign posts, in round, square, or U-channel materials. • For street signs, many users prefer the round posts. 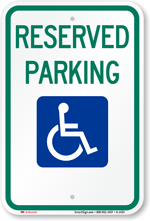 These add a distinctive look to your street sign installation. 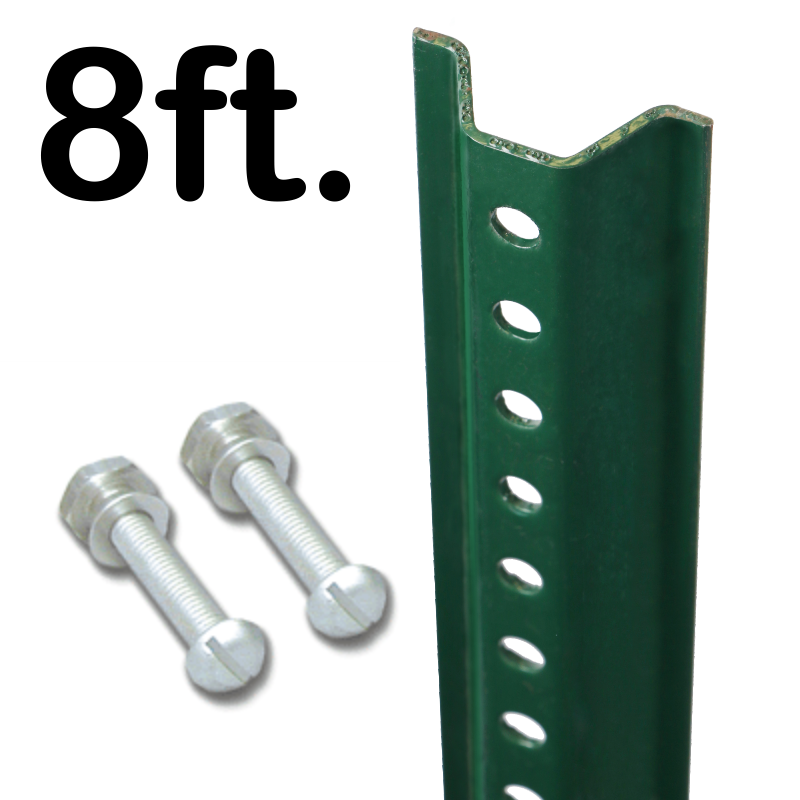 • We offer both medium weight and heavyweight green U-channel posts. 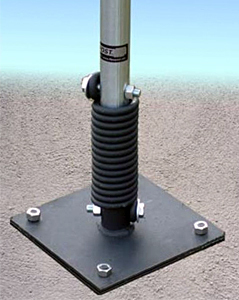 The medium weight posts are useful for smaller signs. 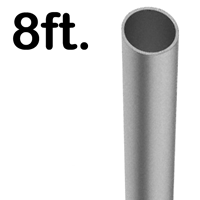 • Give us a call if you need a large quantity (over 25 posts). In most cases, we can find you a better price based on your location. 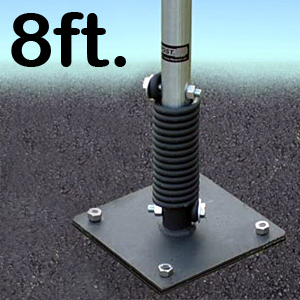 We're showing off our best-selling street sign posts below. Check out any of the products to see a quick preview of prices. 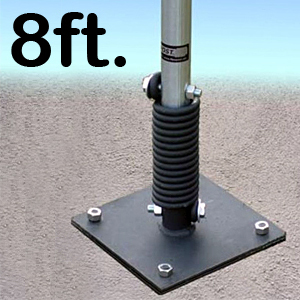 • Increase safety with these breakaway post systems. • Reuse posts as you need them. Good posts but read more if you want to know the metal gauge and inside diameter! Looks like they'll work fine. 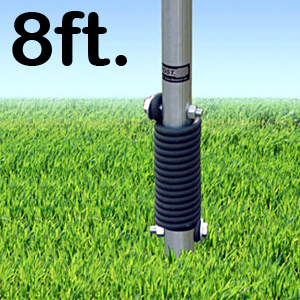 These poles are advertised and sold as 2-3/8" diameter thickness. Since I'm using inside mounted couplers (break-away mounts) I needed to know the gauge and inside diameter which surprisingly the company was unable to provide. After emails and a few phone calls they kept telling me the metal thickness and gauge of the metal was 2-3/8" or they didn't know. Once the poles arrived I finally had to just measure them myself. 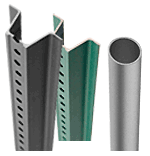 The posts have an inside diameter of 2-1/4" and the metal is 16 gauge. We ordered 4 and they worked out great!